Mercedes-Benz Stadium, the eventual home of the new MLS squad Atlanta United FC, is nearing completion and expectations are high for the $1.4 billion facility. 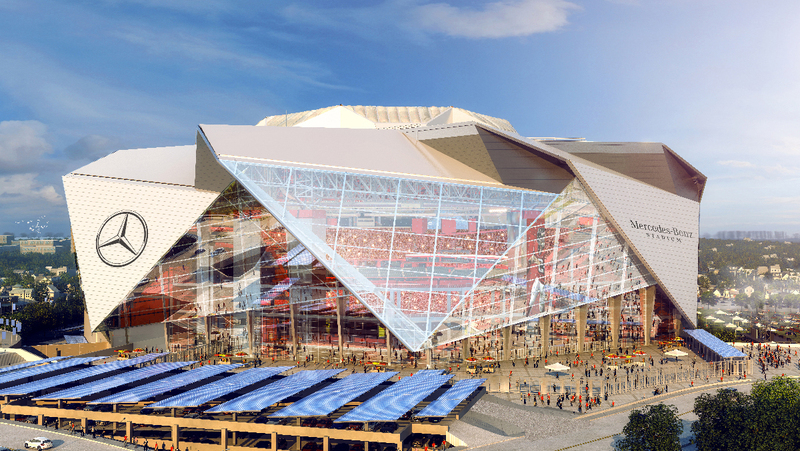 Scheduled to open in June 2017 during the debut season for the Atlanta franchise, Mercedes-Benz Stadium will also house the Atlanta Falcons of the NFL, however, the state-of-the-art facility has been designed to eliminate the cavernous feel of playing soccer in a cavernous football complex. The design, conceived by the architecture, engineering, and urban planning firm HOK, will feature an eight-panel, retractable roof resembling a pinwheel. The stadium’s capacity for football exceeds 70,000, however, the facility transforms into a perfect soccer setting with a seating for just under 30,000 fans. Retractable stands will allow for a larger soccer pitch, while curtains will cover the upper sections and create a more intimate feel. 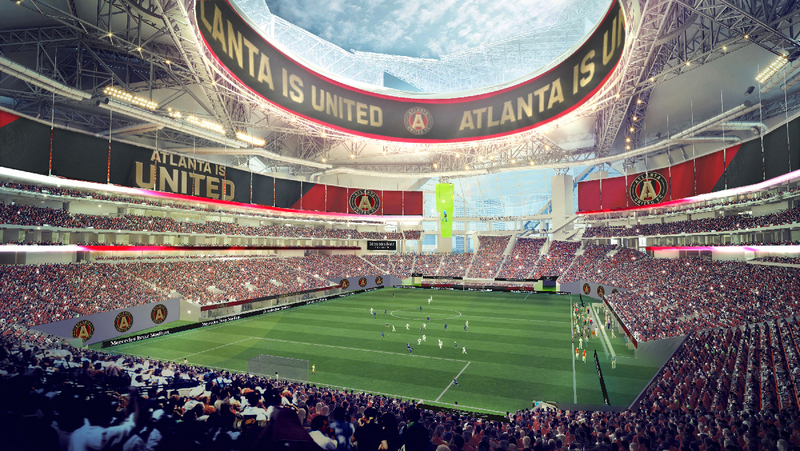 Atlanta United FC Arthur Blank said in a press conference that, despite the dual purpose, the stadium was designed with soccer in mind. “There will never be an MLS game in Atlanta where NFL lines are shown on the field,” Blank said. The Atlanta United FC open its debut season in March 2017.